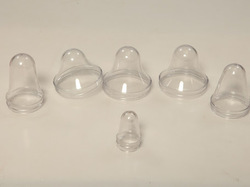 Leading Manufacturer of transparent jar preform, pet jar preforms, pickle jar preform, 73mm pet jar preform, 83mm pet jar preform and 120mm pet jar preform from Ahmedabad. Our in-depth knowledge and industrial expertise enable us to manufacture a distinguished range of Transparent Jar Preform. Our in-depth knowledge and industrial expertise enable us to manufacture a distinguished range of Pet Jar Preform. 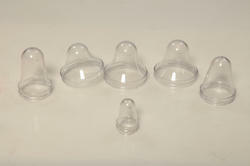 Our in-depth knowledge and industrial expertise enable us to manufacture a distinguished range of Pickle Jar Preform. Our in-depth knowledge and industrial expertise enable us to manufacture a distinguished range of 73mm Pet Jar Preform. Our in-depth knowledge and industrial expertise enable us to manufacture a distinguished range of 83mm Pet Jar Preform. Our in-depth knowledge and industrial expertise enable us to manufacture a distinguished range of 120mm Pet Jar Preform. Our in-depth knowledge and industrial expertise enable us to manufacture a distinguished range of Confectionery Jar Preforms. Our in-depth knowledge and industrial expertise enable us to manufacture a distinguished range of Ghee Jar Preform. Our in-depth knowledge and industrial expertise enable us to manufacture a distinguished range of Handle Jar Preform.